Have you seen the fun new Cake Mix Recipes available from Moda Fabrics?! We first saw these in action at the 2016 Fall Quilt Market, and were so excited to get our hands on them! So what are these Cake Mixes? Great question! There are four separate books, and each book contains a pad of 45 sheets! These pads are triangle papers to make half triangle squares, and are sized for 10" x 10" layer cakes! This book is an awesome tool packed with basic "baking" techniques and simple instructions on how to use them! You can use one of the designs in the book, or use it as a springboard to create your own quilting project! Tune in to our YouTube channel as Carrie Nelson of Moda Fabrics shows us a little about Cake Mix Recipe #1 and how to use this new tool to make blocks! We love a little friendly competition around Fat Quarter Shop, so we got some of our in-house quilters and some of our blogger friends together for a Cake Mix Bake Off! We will have four participants each week for the next four weeks! Week 1 uses Cake Mix Recipe #1 and no other restrictions; participants were free to make any project using any fabric collection! Each week will have a Bake Off winner, and there will be one winner overall! Check out the projects for week one and be sure to cast your vote!! 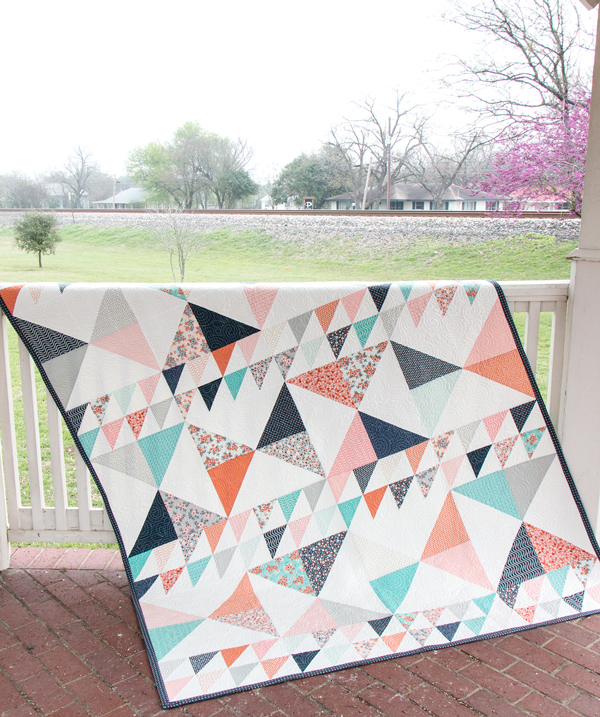 Kimberly's Cake Mix Recipe #1 quilt uses Sweet Marion by April Rosenthal for Moda Fabrics! Sarah's Cake Mix Recipe #1 table runner featuring Sunday Supper by Sweetwater for Moda Fabrics! Deborah's Cake Mix Recipe #1 table runner showcases Poetry by 3 Sisters for Moda Fabrics! 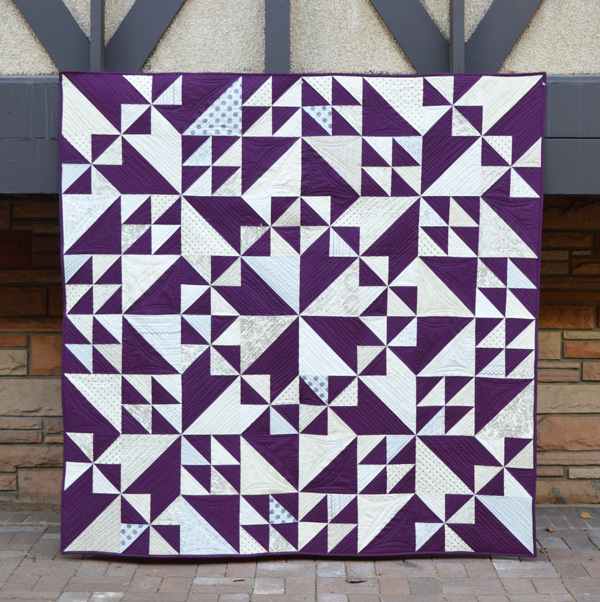 Melissa's Cake Mix Recipe #1 quilt uses Bella Solids Purple and prints from Maven by BasicGrey for Moda Fabrics! 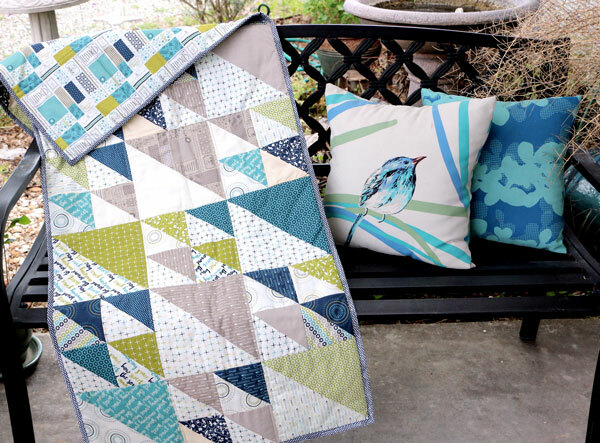 Whose quilt project is your favorite?! Be sure to vote and let us know! 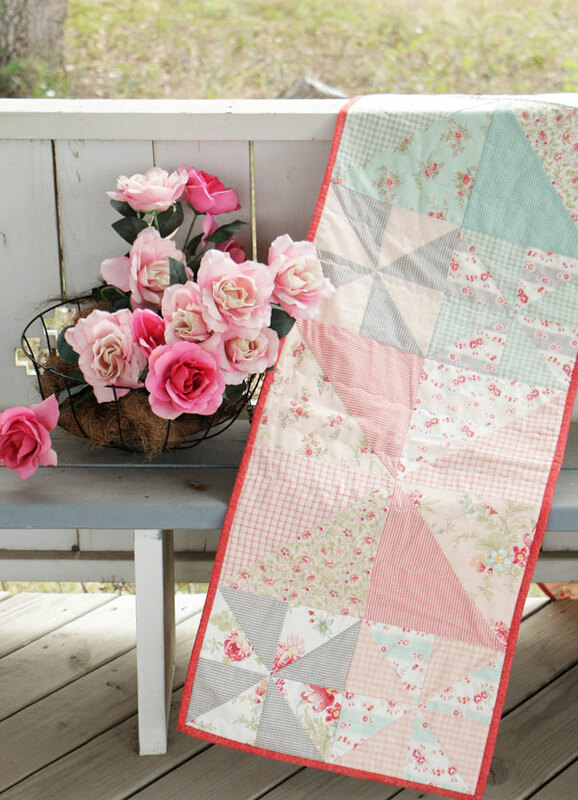 Whose quilt project from Cake Mix Recipe #1 is your favorite?